No major movement as we passed into Days Four and Five of The Enterprise Project. My only real concern is the paintwork on the lower saucer section which might need some more touchup work to give it a smooth and even finish. The upper panel has come out a treat but its partner is providing the first bit of trouble. As you can see from the photo of the finished kit above, you can go into a lot of detail and there's still a lot for me to do just on this section of the ship alone but we are getting there! So while the paint set, I clipped out the various sections of upper and lower hull from the sprues and did a quick test fit. 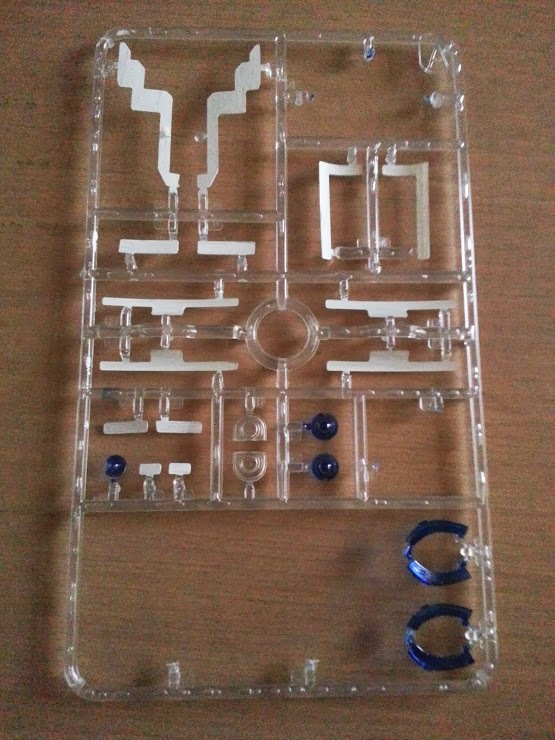 The lower sections are very snug and with guiding pins for the clear plastic dome, the molding and assembly are excellent. I'd definitely recommend testing the parts before gluing them even if it just settles your mind as to what it will look like. 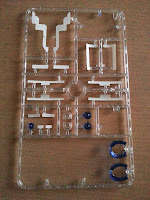 The upper sections aren't as tight fitting but there don't appear to be any worrying gaps to fill as noted yesterday. 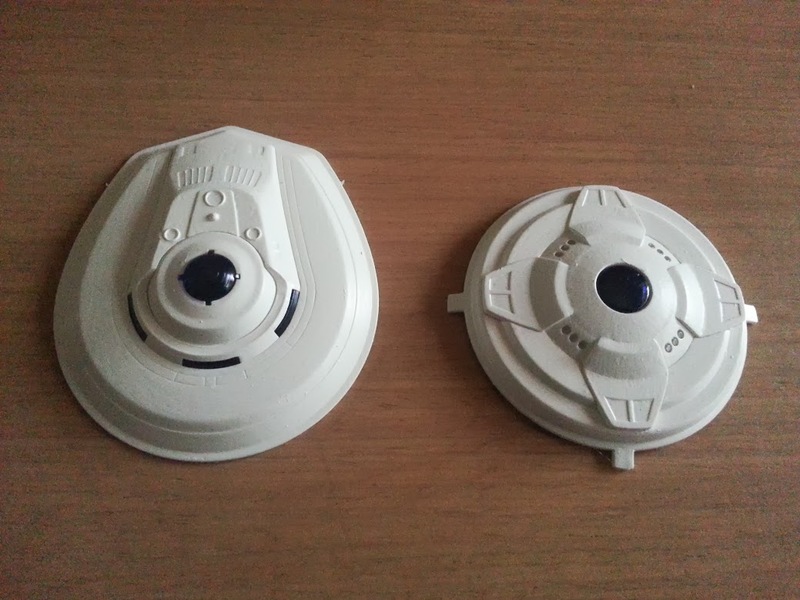 I also realised that before we assemble the saucer sections there are some interior porthole segments that need a coat of our old favourite white matt 301. I'm going through this stuff like a wildfire so again, make sure you stock up! 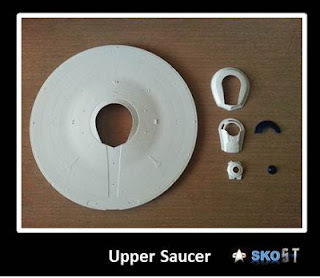 These segments for the interior of the saucer are all clear and I've chosen to paint them on the inside for effect. There is also a clear "o" ring which fits inside the lower section again for the portholes (third piece down here, left) and was painted on the inner surface. Each of the hull segments had their edges sanded and paint touched up although it's worth noting that the fit means that each piece fits inside a larger one and as such the points where it was joined to the frame are invisible - I'm just doing it for peace of mind! A third coat of matt white was essential to the lower saucer and now this is streak and patch free. While coating that I also applied a coat of white to the clear porthole panels that will sit inside both the primary and secondary hulls (seen here, left, attached to the sprue). 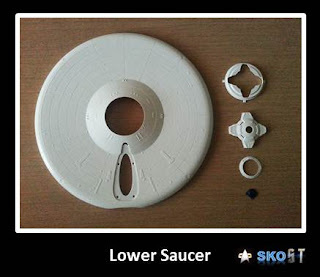 While I'm not looking at building anything below the saucer at the moment it seemed like the logical move! I also applied a coat to the impulse engine block and rear saucer structures which will be fitted once the two sections are mated. The debate now is whether to add the detailing to the saucer before full assembly or wait until it's into one circular slab. At the moment I'm more inclined to do the former as it will be easier to rest the hull and paint rather than having to balance it not unlike a spinning top. Now looking at the basic paints required/suggested and the painting guide on the instructions there doesn't seem to be a match on some of the colours suggested and those indicated on the Revell website (numbers indicated at the bottom of the page). It might now be a case of deduction to work out what will be needed in the stages and steps beyond. To follow the progress of The Enterprise Project just click on the label below and you'll be able to catch up on this week's updates! Cue Your Angry Face Please, Admiral Kirk! 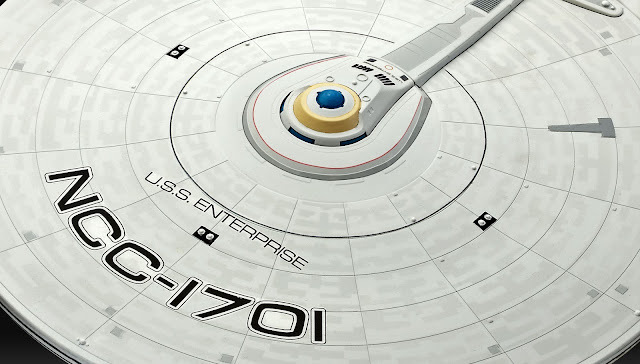 The Enterprise Project: All White There, Captain? So Who Were You Again?! TholiaNet 2012. Awesome Inc. theme. Powered by Blogger.